Sheffield Eagles director of rugby Mark Aston says he won’t be looking to replace Ben Pointer, stating he is happy with his remaining options. Pointer was one of three hookers looking set to compete for the number nine jersey, but left the club for personal reasons just prior to the start of the season. 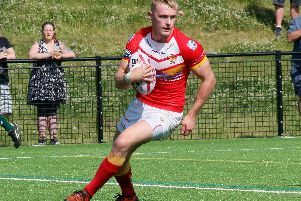 The ex-Newcastle ace had impressed Aston during the close season, with the Eagles chief keen to see the 22-year-old battle between James Davey and Greg Burns for a starting berth. With Pointer now gone, Aston isn’t in the market for a replacement, stating the versatile Corey Makelim provides a further option should he require more competition. “We won't sign someone else in that position,” Aston told The Star. “Corey Makelim can play there, he's made a mark as well in pre-season. We have enough cover, because Greg Burns has stepped up too. 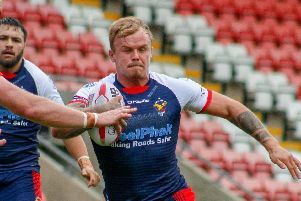 Meanwhile, Aston reiterated the club’s messages of support for Swinton’s ex-Eagle Will Hope who suffered a serious knee and ankle injury at the OLP last weekend. Aston confirmed the Eagles were fully compliant with RFL player welfare standards of care, after Hope was left waiting for an ambulance which did not arrive. "It took the gloss off the win for sure when I came in after to see he was still waiting for an ambulance,” Aston said. “Our doctor, St John's Ambulance and all the medical staff did a fantastic job, it was just the problem getting an ambulance for the lad. He's played for me before at Sheffield and with Ireland, so I know him and was really feeling for him. I could see how much pain he was in. "It was certainly no fault for anyone at our club, the ambulance just didn't turn up which was disappointing. The match commissioner does his pre-game checks, and if the right measures aren't in place, the match doesn't go ahead. Everything was in place. "We just wish Will a speedy recovery, and send him our best. I'm sure he'll be back stronger." Aston has also confirmed discussions with a Super League and League One club continue as the Eagles close in on securing a double dual-registration agreement.